finger. The touch of skin on either the left or right (easily reached) gold-plated sensors activates the laser. No pressure or mechanical switch is used. The GTO’s secret is that it can also operate in Grip Touch Operation by use of a durable and tough, human-hair thick polymer flex circuit (PFC) that adheres under the pistol’s trigger guard and places a super-thin touch sensor near the grip. 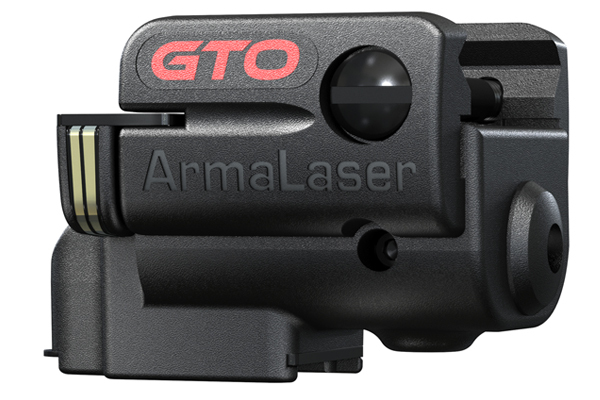 The GTO’s max-legal 635nm red laser then turns on by simply grasping the pistol grip normally.